A Trusted and Valued Supplier to Ajinomoto USA Inc.
Ajinomoto U.S.A. Inc., a wholly owned subsidiary of Ajinomoto Company Inc. (Japan), produces and sells for the North/South American and European markets a full range of food additives as well as amino acids used in animal feeds and pharmaceuticals. 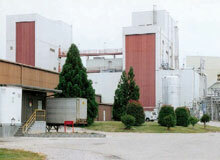 Ajinomoto USA was established in 1956 and has its headquarters in New Jersey. The company's North Carolina plant has been producing pharmaceutical grade amino acids since 1982 and is the only US manufacturer of cGMP (current Good Manufacturing Practices established by FDA; Food and Drug Administration), pharmaceutical grade amino acids. The plant has operated with a Yokogawa DCS since 1993 and this system has made great contributions in improving stability and safety at this plant. Ajinomoto Company Inc. has its roots in Japan but aims also to be a leading player in the international food and amino acids market. The guiding concept of Ajinomoto's global manufacturing system is the transfer of application know-how (software) that has been developed in Japan and the safe, stable and secure implementation of its platform (hardware) by its local people. One of the keys to the success of such a global production system is the choice of a reliable automation partner who is able to support the staff that actually operate and maintain the production system, including a DCS. In the early 1990s, the management of the North Carolina plant began to discuss the possible replacement of its PLC based manufacturing control system with a DCS. 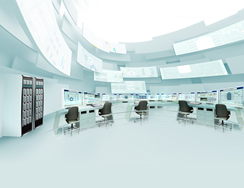 The decision was made to go with a Yokogawa DCS solution because, in addition to offering unsurpassed reliability, Yokogawa stood out from all others in its ability to provide maintenance, service, engineering, and technical support on a global basis. Since fi rst entering operation in 1995, the DCS has saved considerable time in software development and project startup and has also reduced the frequency of plant shutdowns. Ajinomoto was pleased with Yokogawa's DCS maintenance support service and noted that the quality of service was on a par with the service provided in Japan. Ajinomoto's US people came to rely on and trust Yokogawa, and this also has had a very positive effect on results. Ajinomoto expressed its appreciation to Yokogawa for its dedicated, nonstop efforts on its behalf including work on system expansion.